On February 9, 2018, President Trump signed into law the Philanthropic Enterprise Act of 2017 as part of the Bipartisan Budget Act of 2018. The new law allows private foundations to own 100% of a business under certain conditions. 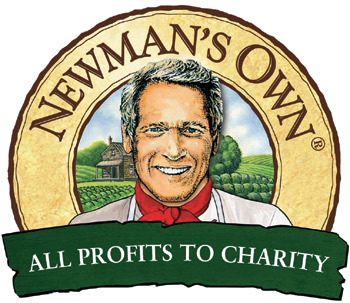 The bill was championed by Newman’s Own Foundation, which owns 100% of No Limit, LLC, the for-profit company that produces and sells the Newman’s Own-branded line of food products. The new law allows the foundation to maintain 100% ownership of No Limit, assuring that all profits of the company will continue to go to charity. Newman’s Own Foundation needed the new law to avoid a requirement that it divest itself of at least 80% of No Limit under the “excess business holdings rule” of Internal Revenue Code Section 4943. The excess business holdings rule generally prohibits a private foundation from owning more than 20% of a for-profit company. It imposes extreme penalties on a foundation that are equal to twice the value of the holdings above the 20% limitation. In most cases, this will completely destroy the value of the “excess” holdings to the foundation. The new law creates an exception to the excess business holdings rule for foundations that own 100% of a business and devote all profits to charity. Foundations that acquire more than 20% of a company normally have a five-year deadline to sell their excess holdings before the penalties apply. Newman’s Own originally faced that deadline in 2013 but was able to get a five-year extension that would have expired this year. The passage of the new law relieves Newman’s Own from the requirement that it divest itself of No Limit, meaning it can continue operating as it always has without interruption. 1. The foundation must own 100% of the shares. There cannot be any other shareholders, and the shares must have been donated to the foundation or acquired in some manner other than by purchase. 2. All profits must go to charity. The company has to distribute 100% of its net operating income to the foundation within 120 days of the end of each fiscal quarter. Net operating income is defined as gross income minus taxes, deductions directly attributable to the production of income, and an amount for a reasonable reserve. 3. The for-profit company is operated independently of the foundation. First, no substantial donor to the foundation can be a director, officer, or employee of the company. A substantial donor is someone who donates more than 2% of the foundation’s total contributions in a given year, and it includes these who donated shares or anything else of value to the foundation, if their donations exceed 2% of contributions to the foundation for the year. Second, a majority of the company’s directors have to be persons who are not also on the foundation’s board. Finally, the company may not make loans to substantial donors of the foundation. 4. Donor-advised funds and some supporting organizations cannot take advantage of the new law. Donor-advised funds and non-functionally integrated Type III supporting organizations are specifically excluded from the new law, thus are still subject to the 20% rule. The new law, which took effect December 31, 2017, opens a world of possibilities for founders of companies that want to devote all profits from their businesses to charity, allowing them to place their companies under the ownership of a private foundation and permanently devote all profits to charity. One way to adopt this model is to have the founder or the shareholders donate their shares to a foundation. They get a tax deduction for the value of their shares, but no buy-out. Since this is a gift, not a purchase, donating the shares satisfies the requirements of the new rule. The donations can happen anytime or even over time, but the new rule does not apply until 100% of the shares have been transferred to the foundation. Under the new law, a total separation of the two entities is not required. The for-profit company will continue to be governed by its own board and managed by its own managers, with appropriate separation from the foundation. The new law permits the foundation, as the sole shareholder, to appoint the board, and the foundation may also hold other rights, depending on the jurisdiction where it was formed. For example, in many states, a sole shareholder has the right to inspect the books and records of the company and to sue the directors for breach of fiduciary duty (including the duty to pursue a social mission, if the company is a benefit corporation.) The shareholder may also reserve to itself the right to approve mergers, sales of assets, dissolutions, and to veto other fundamental decisions. Profits of the business will be up-streamed to the foundation in the form of after-tax corporate dividends or, in the case of a pass-through LLC, as partnership distributions, in which case the tax on unrelated business income may apply. We are sure to see a growing number of private foundations take ownership of profitable businesses as a result of this new law. It also offers another option for founders of mission-oriented companies who want a philanthropic exit that locks mission into the company on a permanent basis. This is an excellent update, Allen. Thanks for the report including the detail about requirements under the new law. When I started in non-profit work 20 years ago I had to pull the Newman’s Own file for one reason or another. I was amazed to see that Paul Newman had personally signed the donation checks. Great organization. Great causes. Good article. Any possible negative impact on this Act?